Before the Reserve Bank was created in 1934, trading banks issued their own bank notes. 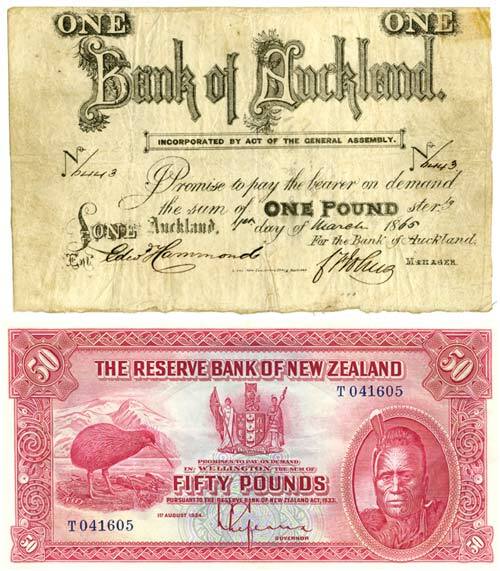 The £1 bank note at the top was issued by the Bank of Auckland, which operated in the 1860s. The bank note below was issued by the Reserve Bank on its first day of operation, 1 August 1934. Since that date, all bank notes have been issued by the Reserve Bank.